Bacteria in humans, food and animals continue to show resistance to the most widely used antimicrobials, says the latest report on antimicrobial resistance in zoonotic bacteria in Europe. Resistance to widely used antimicrobials, such as ciprofloxacin, was commonly detected in bacteria from humans and poultry. High to extremely high resistance to ciprofloxacin was observed in broilers (69.8%), as well as in bacteria from humans (60.2%). 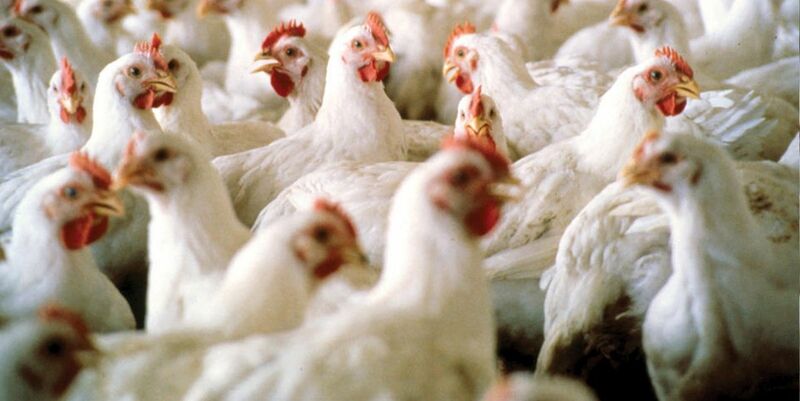 High to extremely high resistance to nalidixic acid and to tetracyclines was reported in broilers. Resistance to widely used antimicrobials was commonly detected in Salmonella from humans (tetracyclines 30%, sulphonamides 28.2%, ampicillin 28.2%) and poultry. The prevalence of multi-drug resistance was high in bacteria in humans (26%), and especially high in broiler and turkey meat (24.8% and 30.5%, respectively). Some types of Salmonella bacteria, namely Salmonella Kentucky and Salmonella Infantis, are of particular concern as they showed high level of resistance to ciprofloxacin and high multi-drug resistance. The occurrence of extended spectrum beta-lactamase (ESBL) was observed at low levels in Salmonella from poultry. However, a clone of multidrug-resistant and ESBL-producing Salmonella Infantis was reported in both humans and poultry. Carbapenemaseproducing Salmonella were not detected in poultry and meat thereof. • The report, published by EFSA and ECDC, presents the results of the analysis of data submitted by Member States for 2014. • Recently introduced changes to the way AMR is monitored in food-producing animals and food mean that data are now more specific, much easier to compare between Member States and across sectors, and the scope of the monitoring is larger. As of this year the report gives information on resistance to colistin in Salmonella and E.coli from poultry in the EU. The report also includes information on the occurrence of Salmonella and E. coli strains that produce an extendedspectrum beta-lactamase (ESBL) and/or a carbapenemase, enzymes that confer resistance to the critically important third-generation antimicrobials cephalosporins and carbapenems, respectively. In 2014 monitoring of AMR bacteria from animals and food focused on broilers, laying hens and fattening turkey. Next year the report will cover pigs and cattle. • Resistance to colistin, an antimicrobial commonly used in some countries for the control of E. coli infections, especially in pigs, has been recently reported in China. The corresponding gene (mcr-1) was found on a mobile genetic element (plasmid), which can be transmitted between bacteria. Colistin resistance in bacteria from humans and animals was previously thought to be chromosomally related and therefore unlikely to be transferred between bacteria.